Dave Gorman onstage at Advertising Week. 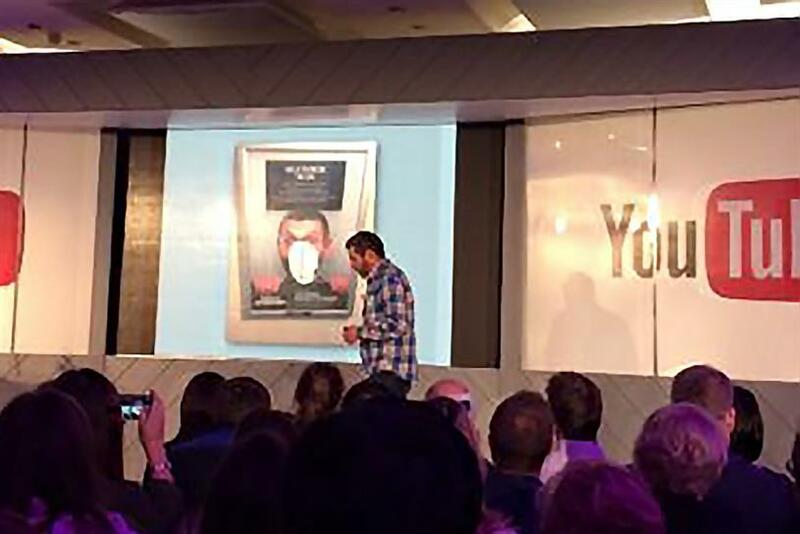 LONDON — Comedian Dave Gorman warned marketers at Advertising Week that over-personalized ads run the risk of intrusively overstepping the mark. Gorman was talking to delegates during a session on personalization, during which he was joined onstage by Mike Florence, head of planning at PHD. While Florence said that "nowadays, especially in the online space, brands are using personalization to get closer to people," Gorman was less reverent about marketing, admitting that he "often had a pop about advertising. "I hold advertising up to be ridiculed like lots of other aspects of life," he said, singling out an ad for lip gloss, which featured specious research to back up its claims, using a sample size (47% of 34 women) which he likened to the survey results from game show "Family Fortunes" (the UK’s answer to "Family Feud"). Gorman discussed his collaboration with PHD in promoting his Dave series "Modern Life is Goodish," when he and the agency used social media to target people in a deliberately clumsy manner, with less-than-subtle references to brands such as Frijj. "There are lots of ways in which the digital world does things that would wouldn’t accept face-to-face," Gorman said. He gave an example of his recent experience of ordering a pizza online. When he went to go to the check-out section of the site, an order of cookies costing 99p had automatically been added to his cart. "You would not accept that in the real world. Like it’s OK. It’s not f*cking OK. It’s a great example of doing things just because you can." "Personalization can give lower interest categories more charisma.& You can go further than you think - especially if it’s a low interest category." But he warned that while "being& a bit creepy is acceptable," being a total creep through extreme personalization is not. "You’re slipping into ‘uncanny valley’ - it’s what happens when machines try to behave like humans."